Woman hopes to be a great singer and is encouraged by her scheming teacher. After she flops her husband, encouraged by an amorous professional singer tries opera and also flops. Two nuns arrive unannounced in the small New England town of Bethlehem, where they recruit various townspeople to help them build a children's hospital. In Paris, the estranged wife of a wealthy banker hides a fiery communist fugitive in her apartment. Social butterfly (Young) marries Park Avenue doctor (Baxter) and learns that his nurse (Bruce) is in love with him. Leonard Borland aka Logan Bennett: You're just an old... Foof! Sorry, ladies. 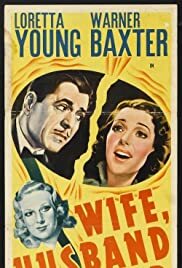 Warner Baxter, Loretta Young, and Binnie Barnes star in "Wife, Husband, and Friend," a 1939 comedy remade some years later as "Everybody Does It" with Paul Douglas, Celeste Holm, and Linda Darnell. It's the story of a society woman (Young) who dreams, as her mother did, of a career in singing but just doesn't have the vocal chops. It turns out that her husband (Baxter) has an incredible voice. A diva (Barnes) falls for him and takes him along on tour with her, finally arranging for him to star with her in an opera. The problem I had with this film is that it's exactly like "Everybody Does It" right up until the last half hour, and then it leaves out the best parts of the story. The opera scene in this film can't touch the opera performance in "Everybody Does It" - nor does it give an explanation for the behavior of the Baxter character, which we get in the later film. My other problem is a singing one - the dubbing of Loretta Young's voice is too good. Celeste Holm did her own singing in "Everybody Does It," and it's pleasant, but not of operatic caliber, making the story more believable. Nevertheless, in its own right, "Wife, Husband, and Friend" is cute, with some good performances. Baxter is very funny as the husband, and there's wonderful support from George Barbier and Helen Westley, who play Young's parents. Young is gorgeous and very effective. 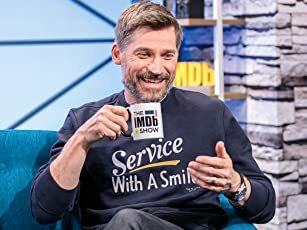 Extremely enjoyable, but if you get a chance, see "Everybody Does It" for some extra comedy and to fill an important plot hole!